Often in a form one may want to apply scores to different options to be summed up at the end - this is useful for summing up total based on choices, creating indexes or quick reporting. (For example, a health form could calculate an index for risk of waterborne diseases or malnutrition.) 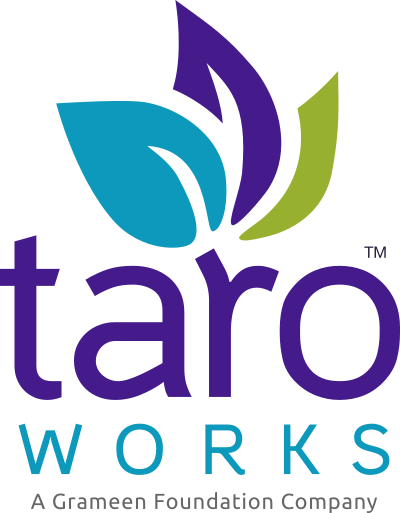 TaroWorks allows you to apply one or more scoring groups across Single Select and Multiple Select questions in your form - upon successful sync of the associated job, the score(s) would be calculated within Salesforce. This article will explain how to use the Scoring Tab to add, edit and delete a scoring group. There is a limit of 5 scoring groups per form. Only the sums of scoring groups are stored, whereas the score values contributed by individual questions are not stored. Scores from questions in repeat sections are added together by design. Please refer to the video on repeat sections for details. Begin by starting a new form or editing an existing one. Access the Scoring tab by clicking it on the navigation bar as shown (red box). You will then be presented with the screen as shown below. Enter a name for this scoring group (green box). Click Save (red arrow) to create a scoring group. Note that a scoring group SC0 have been created (red box). You may change the name by clicking Edit or remove the group by clicking Delete (red arrow). Also note in the Apply Score area a column named SC0 has appeared with number fields next to all single and multiple select questions (green box). Assign a score to the options by entering a whole number between -100 to 100 in those number fields. Any blank fields are understood to be zero. Continue down the form until you are done assigning scores for this scoring group. NOTE: You may add more scoring groups by clicking Add at the top (green arrow). New groups will be marked as SC1 and so on. When you are satisfied with all scoring groups, click Save to save your progress and remain in this tab. Or click Save and Continue to save and go to the Logic tab. Click Cancel to discard all unsaved changes. To display the total score of a score group to your mobile users at the completion of the form, check the Display Score Total(s) to Mobile users box as displayed below. Sums of scoring groups cannot be displayed on the device as it is calculated in salesforce.